Vernon Perry of the Houston Oilers was a solid strong safety. When it comes to great performances in the NFL we tend to think of superstars having spectacular days. However there are times when a player finds himself totally in tune with a situation and turns in the game of a lifetime. Such was the case with SS Vernon Perry of the late 70’s Houston Oilers. He was the college teammate of the late Walter Payton and Oiler teammate Robert Brazile at Jackson State. 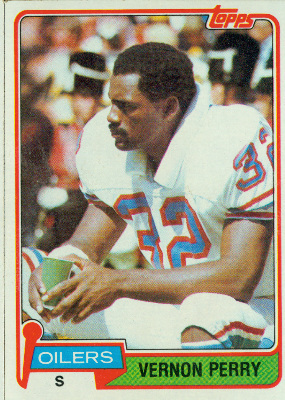 After a stint in Canada, Perry only played five seasons in the NFL (1979-1983) and the only distinction he gained was being named 2nd team All Pro in 1980. In 1979, the Oilers were chasing perennial champion and division rival Pittsburgh, to whom they lost the 1978 AFC Championship Game to. Perry’s rookie year helped solidify a secondary that picked off 34 passes for the season. They were built as a run heavy team behind legendary Hall of Fame running back Earl Campbell. In week 15 the Oilers beat the Steelers 20-17 to give them both identical 11-4 records. A loss to the Philadelphia Eagles in the final week relegated the Oilers to the wild card role and the Steelers the division championship. The wild card game was one of the most physical games in NFL history. The Denver Broncos “Orange Crush” defense battled tooth and nail in the 13-7 loss to the Oilers. They knocked out Earl Campbell, leading receiver Ken Burrough, and starting quarterback Dan Pastorini. So a team that had serious aspirations of reaching Super Bowl XIV, or at least a rematch with the Steelers, would have to do so without Campbell’s 1,697 yards in the divisional round. 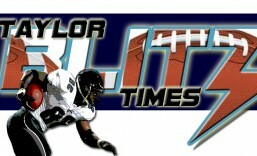 Since the game would be on Saturday and not Sunday, they would be without Pastorini and Burrough as well. Picture the 1990’s Dallas Cowboys going into a playoff game without Troy Aikman, Emmitt Smith, and Michael Irvin all not being in the game. This was that equivalent. Their opponent was the AFC West Champion San Diego Chargers who also had Super Bowl aspirations. In 1979 they became the first team since the merger to make the playoffs passing more then they ran. Dan Fouts had thrown for 4,082 yards which was an NFL record at the time. They too finished with a 12-4 record to tie Pittsburgh for best record in the conference, and had their confidence boosted in week 12 with a 35-7 blowout of those Steelers. They had Pro Bowlers in John Jefferson (61 rec. 1,090 yds 10TDs), Charlie Joiner (72 rec. 1,008 yds 4TDs) along with Hall of Fame DE Fred Dean and DT Gary “Big Hands” Johnson. The Chargers finished winning 6 of their last 7 and had held 4 of their last 5 opponents to 7 points or less. For the year, finished 5th in the NFL in defense and were healthy and home for the divisional round. This was a Super Bowl ready group… All they had to do was get past an Oiler team without it’s starting quarterback, running back, and leading receiver. A pensive crowd started to sit on their hands as their high-flying Chargers were clinging to that same 7-3 lead and couldn’t increase it. The Oilers were also struggling to finish drives. The Chargers were coming out with 3:24 to go and they were sure they’d score on the last drive of the half when Vernon Perry decided to undercut Charlie Joiner crossing the middle. Thanks to the field position caused by Perry’s 2nd theft, the Oilers scored to take a 10-7 halftime lead. 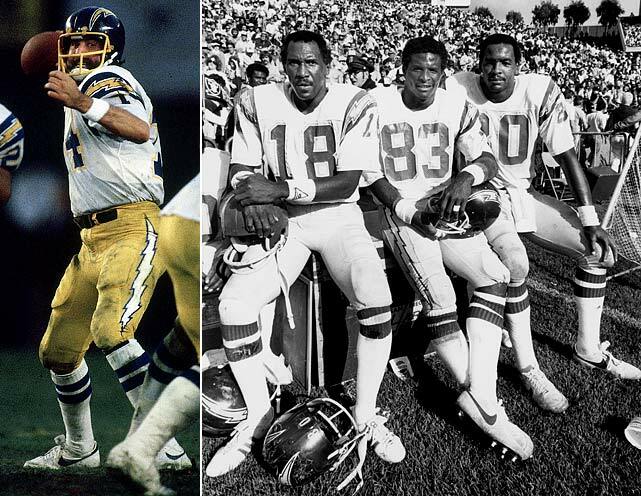 With a team that scored 411 points, 2nd most in the NFL in 1979, it was only going to be a matter of time before the Charger juggernaut got rolling. Or so San Diego fans thought. After the game Oiler Head Coach Bum Phillips addressed his team “We were short on man power but we were long on guts” was an understatement. Not once can our CEO remember where a team had to go into a playoff game missing 80% of their season’s offensive production due to injury. Behind Vernon Perry’s NFL playoff record 4 interceptions, 8 tackles, 2 passes defensed, and a blocked field goal he returned 57 yards, the Oilers pulled off the biggest upset since Super Bowl III. Not only did it come when the Oilers desperately needed it in a playoff game, he set up the Oilers’ first 10 points which gave the team confidence believing they could win. It was the best defensive performance in NFL history by an individual in The Chancellor of Football’s estimation. It set up an AFC Championship rematch with the champion Pittsburgh Steelers. Armed with their hot rookie safety they made it to the gunlap in the race for Super Bowl XIV. Once there Perry got the Oilers off to a great start early in the game. Yet alas the Oilers fell 27-13 in a game made famous by the Mike Renfro no touchdown call that sparked the instant replay debate. At the time the score would have been tied 17-17 late in the third quarter and the Oilers would have had the momentum in a quiet Three Rivers Stadium. However that is another story for another day. For it was the week before when Vernon Perry made NFL history that was the story of the 1979 playoffs and a game for the ages. This entry was posted in Legendary Days and tagged 1979 AFC Divisional Playoff, American football, Bum Phillips, Dan Fouts, football, greatest defensive performance in NFL history, Houston Oilers, Houston Oilers vs. San Diego Chargers, NFL History, NFL Players, San Diego Chargers, sports, sports history, Vernon Perry, vernon perry houston oiler. Bookmark the permalink. This was by far a great performance,one that got by me, over the years never heard of it until i read this article. I knew Vernon was destin to be great as a young senior in high school. I played with him at Winfield high school in Jackson Ms. In 1972 along with another great NFL hall of famer Jackie Slater . I can remember Vernon running the forty yard dash , he was so tall and he just pumped those huge Elbows as if he was in slow motion. What great memories ,Thanks Veron . I was a teammate of Vernon’s in Montreal in 1978…He was an extraordinary player and a great guy as well. Never got the respect or accolades he deserved in my opinion. Thanks for the input. It was a great performance and want to get it some recognition by the new generation of football fans. The Houston Oilers were also accused of stealing signals in this game.